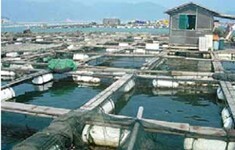 EagleSpeak: Fish Stories Part 3: "Chinese Aquaculture"
China has great cultural background. I am very inspired after reading your article about the Aquaculture of China. They are well known all over the world due to their unique and great culture. There are so many historical places in China including The Great Wall of China, forbidden city, Beihai Park, Chaotian Gong etc.